The British Gazette » N’est pas ce ce que j’ai voulu! It has happened to all of us at one time or another. We get what we think is a really good idea – but it does not turn out that way. This has happened to one N. Sarkozy, sometime President of a country called France – you may have heard of it. On a good day you can see it from the white cliffs of Dover. France produces some of the finest wines, tastiest cheese, the best bread rolls (anywhere) and some of the world’s most beautiful women. Unfortunately, it also produces Frenchmen. 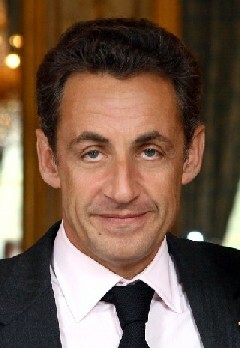 Well it seems friend Sarkozy dreamed up what he thought would be a real wheeze. A website where the French could post their views about France’s national identity. “….France has become an African colony in a way which cannot be reversed. Before, France had colonies. Now it has been colonised itself. Immigrants who want to impose their lifestyles on us should go home. France has the largest Muslim population in Europe outside Turkey (which is not in Europe). This is what happens when you let the people speak. They tell you things you do not want to hear! Hardly a problem Peter as I doubt those that pose the question will “hear” the answer.Irish vote “non” and where did it get them?